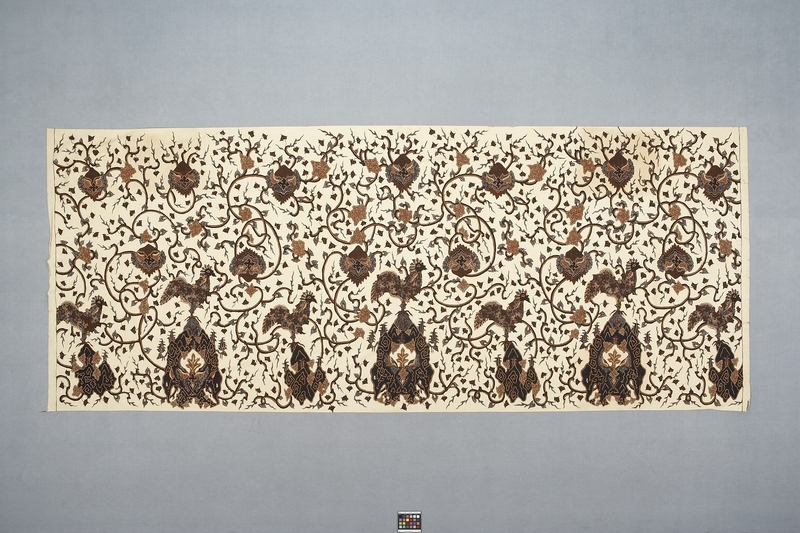 Item number B716 from the MOA: University of British Columbia. 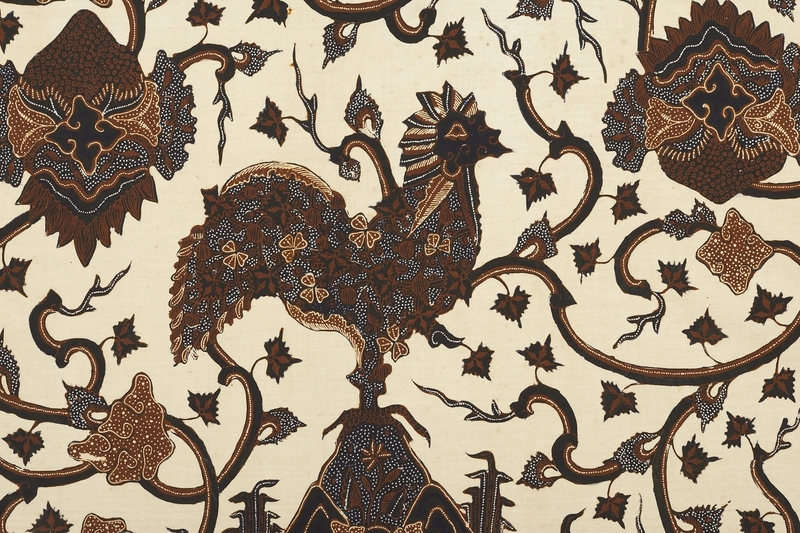 Textile with an overall design of roosters amongst stylized twisted branches and leaves in brown and blue-black on an off-white ground. Stamped with an inscription on the edge at one end.